It’s just over a month until I head off on my holidays and my thoughts have turned to packing. We’re only taking hand luggage with us and since I’m terrible at packing light (especially when it comes to beauty products) I’m having to think long and hard about what I need to take with me. I’ve spent the last couple of months testing out Tropic’s Travel Essentials* (v), £32, so my skincare will be sorted at the very least. The Travel Essentials come in a cute little bag with magnetic closure and you also get a Bamboo Cloth to use with the cleanser. There are five products in total: a cleanser, a toner, a moisturiser, a face oil, and a balm. I get very excited when I have the chance to try out a new (new to me, at least) cruelty-free brand. I think there’s an assumption that going cruelty-free massively limits your options and while it does mean that you can’t just buy whatever you feel like from Boots anymore, there are plenty of wonderful brands out there that don’t test on animals or sell in China — you just have to do a little Googling to find them. 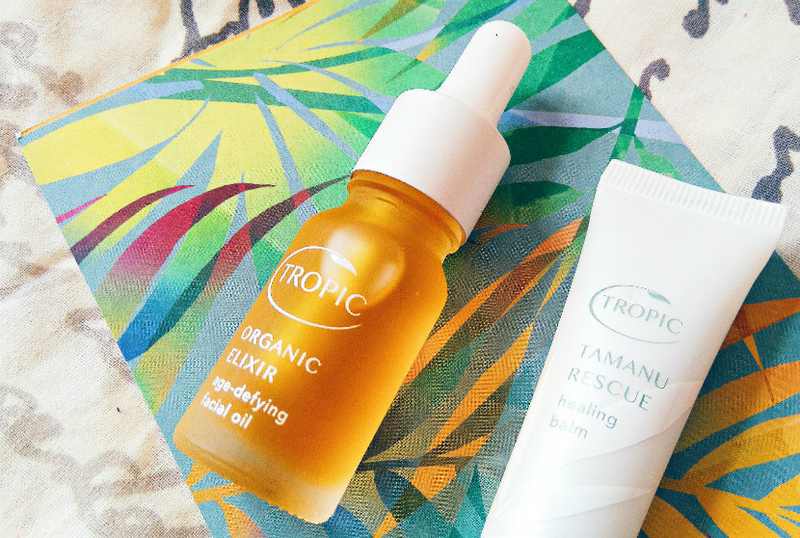 As it turns out, when Tropic contacted me a few months back I realised I had heard of them: Tropic is the skincare brand created by Susan Ma, who was once a contestant on The Apprentice (bloody love The Apprentice). It started out with a body scrub that Ma made in her kitchen in 2004; fast-forward twelve years and the line features all kinds of products, including skincare, bodycare and make-up. When they got in touch with me I was very impressed to learn that Tropic is cruelty-free, vegan, and Leaping Bunny certified — exactly the kind of thing I like to share with you all on this blog. The scent of the Smoothing Cleanser is very similar to that of Liz Earle’s Cleanse & Polish, as is the creamy texture. I’d say this is a little more subtle though and consequently it’s much more gentle on the eyes when used to remove make-up. It leaves my skin feeling clean but not stripped of moisture and it’s light enough to use in both the morning and the evening; basically, it does everything I like a cleanser to do. Will I take it with me? Yes. Would I buy the full-size version? Yes. The Vitamin Toner is nice enough and it certainly leaves my skin feeling refreshed, but I wouldn’t say it was essential. Generally I like toners to either be spot-busting or exfoliating and while this doesn’t aggravate my skin, I haven’t noticed a positive difference either. It’s going to be wonderful for cooling me down on the plane, though. Would I buy the full-size version? No. A light but moisturising cream that sinks in quickly and always leaves my skin feeling comfortable. It’s lovely and I’ve really enjoyed using it, but it doesn’t do anything that my usual (£2.99) day cream doesn’t. Would I buy the full-size version? No. I begrudge paying anything over a fiver for a daily moisturiser, tbh. Okay, so I know 22 is too young to be thinking about anti-ageing but in this instance I don’t care; I frickin love this stuff. It smells a teeny bit like marzipan, softens my skin, and doesn’t irritate any spots. In fact, recently I switched to using my day cream at night because I want to save what remains of this for my holiday. This coincided with my acne flaring up again and as soon as I switched back to the oil, my skin calmed right down. Just goes to show how good plant oils can be for oily, blemished skin like mine! Would I buy the full-size version? Possibly. £30 for 50ml is a bit much but oils do tend to last for months and months, so I imagine the cost-per-use would work out quite reasonably. It can take forever to squeeze the product out of this tube when the weather is cold but it’s so worth the wait. The Tamanu Rescue Healing Balm is thick, non-sticky, and dries matte so it’s ideal for wearing underneath lipstick (especially liquid ones, which have a tendency to cling to dry patches). The tube is small enough to carry in the dinkiest of bags and you only need a tiny bit so I imagine this will last me aaaaages. A keeper for sure. Would I buy the full-size version? Hell yeah. 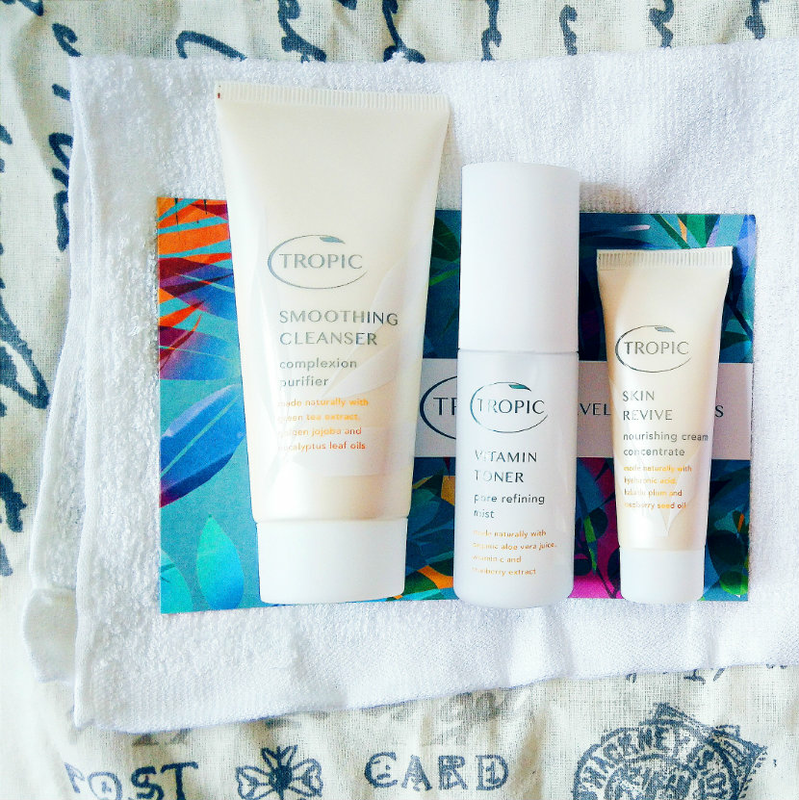 Have you ever tried Tropic products before? What do you take on holiday with you? Let me know in the comments!